Riddles can be relaxing — or devilishly difficult. Ready to tackle some brain teasers? Watch the 5 TED-Ed Lessons below. 1. Can you solve the temple riddle? Your expedition finally stands at the heart of the ancient temple. But as you study the inscriptions in the darkness, two wisps of green smoke burst forth. The walls begin to shake. The giant sandglass begins flowing with less than an hour before it empties, and a rumbling tells you that you don’t want to be around when that happens. Can you use math to escape the temple? Dennis E. Shasha shows how. Watch this TED-Ed Lesson below. 2. Can you solve the bridge riddle? Taking that internship in a remote mountain lab might not have been the best idea. Pulling that lever with the skull symbol just to see what it did probably wasn’t so smart either. But now is not the time for regrets because you need to get away from these mutant zombies…fast. Can you use math to get you and your friends over the bridge before the zombies arrive? Alex Gendler shows how. 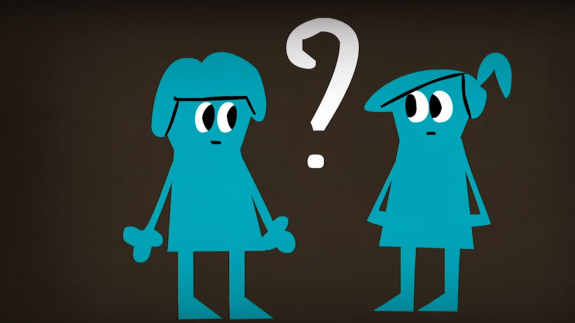 Watch this TED-Ed Lesson below. 3. Can you solve the prisoner hat riddle? You and nine other individuals have been captured by super-intelligent alien overlords. The aliens think humans look quite tasty, but their civilization forbids eating highly logical and cooperative beings. Unfortunately, they’re not sure whether you qualify, so they decide to give you all a test. Can you solve this hat riddle? Alex Gendler shows how. Watch this TED-Ed Lesson below. 4. Can you solve “Einstein’s Riddle”? Before he turned physics upside down, a young Albert Einstein supposedly showed off his genius by devising a complex riddle involving a stolen exotic fish and a long list of suspects. Can you resist tackling a brain teaser written by one of the smartest people in history? Dan Van der Vieren shows how. Watch this TED-Ed Lesson below. One hundred green-eyed logicians have been imprisoned on an island by a mad dictator. Their only hope for freedom lies in the answer to one famously difficult logic puzzle. Can you solve it? Alex Gendler walks us through this green-eyed riddle. Watch this TED-Ed Lesson below. These are great opportunities to help my students practice critical thinking. The video provides a great hook to entice my students to take on the challenge. I look forward to more challenges in the future. I enjoyed solving the temple riddle and when I have a little more time I will tackle the others. These will be great critical thinking activities to use in my math classroom. The videos are will done and provide a great hook to engage students in problem solving. i wish tjere would be more ridles to solve as I love solbing these kind of riddle and I have answered all the above. I believe your locker riddle to be wrong. It says after cousin number three “this pattern will repeat” wich means cousin number 4 will open all the lockers cousin 5 will close every other one cousin six will change every third and cousin 7 will reopen every locker so the 100th cousin will open all the lockers. I absolutely NEED more riddles. Trace a treble clef on a piece of paper while drawing an eight with your foot. Sound’s easy, huh? Try now. See? Hard. Tricked ya! I love the riddles and i also think that thy should make more!! what do you use to create?